How can coastal parishes address coastal land loss, while promoting economic and cultural development? Terrebonne identified eight specific natural hazards that can significantly impact its communities, including flooding, subsidence, coastal erosion, sea level rise, wind events (tornadoes, hurricanes), and storm surge. Currently, 90% of land in Terrebonne Parish is classified as environmentally sensitive, and the parish continually experiences significant land loss due to erosion and subsidence. As a result, future development options are limited. On the land that Terrebonne is able to develop, flood issues are worsened by extensive impervious surfaces, particularly the large number of homes built slab-on-grade. The paved surfaces occupy vital flood storage capacity. The parish estimates that 106 acres of land are currently under slab. With a 2,100 square foot house displacing 15,709 gallons of flood capacity, it is estimated that Terrebonne Parish is losing approximately 35.4 million gallons of flood capacity due to this type of home construction technique. Such data provides the impetus for Terrebonne to engage a new, more resilient approach to development. Bayou Black swing bridge, Gibson, LA. Photo by cmh2315fl via Flickr. Compelled by the destruction of its wetlands and resulting population migration, Terrebonne Parish, located on the southeastern coast of Louisiana, updated its Comprehensive Master Plan to incorporate resilience. Terrebonne Parish and its largest city, Houma, together form a consolidated city-parish government. The Parish completed its last city-parish comprehensive master plan in 2004. Over the next few years, a series of particularly destructive hurricanes hit the parish causing extensive damage. In the aftermath, residents of the southern bayou communities began to migrate to north Terrebonne Parish. The 2004 Comprehensive Plan soon became largely unusable due to the population shifting faster than anticipated causing strains on infrastructure and housing stock. These hurricanes also underscored the increased vulnerability to storms of communities in Terrebonne due to wetland loss. Wetlands act as a natural sponge that trap and slowly release flood water, as well as buffer coastal areas from storm surge. Vision 2030, which is an update of the 2004 Comprehensive Plan, adjusts recommendations made in the 2004 plan to reflect current settlement trends and environmental concerns. In addition, the 2012 plan adds 3 new sections to help the parish better address their environmental, social, and infrastructure needs. The plan acknowledges that settlement patterns will become more restricted due to coastal land loss and a focus on higher density development on higher, less vulnerable land. The plan proposes options to ensure that communities will maintain their cultural identity, conceding a changing landscape. With over 90% of its land considered environmentally sensitive, or undevelopable, Terrebonne Parish sees increased vulnerability by loss of wetlands, swamps, and marshes due to erosion caused by salt water intrusion from the Gulf of Mexico. The plan addresses this issue as well as other environmental concerns, such as air quality, water quality, hazard mitigation, and the existing regulatory framework in which these issues can be addressed. The parish’s geographical location and topography make drainage of storm and rain water the most important infrastructure. In the 2012 capital improvement budget 52% of the budget was devoted to drainage and levee projects, while 22% went to bridge and road projects, 14% went to sewer improvements and 6% went to buildings. The culture and economy of Terrebonne Parish is linked to its abundant natural resources. 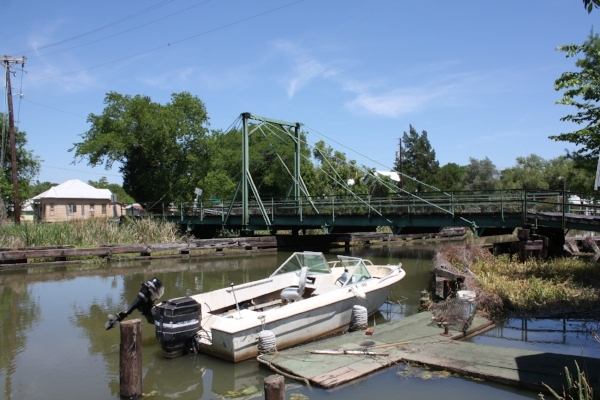 The plan identifies a number of actions to protect the cultural assets of Terrebonne through environmental protection, community identity building, and historic preservation.